BITSAT 2019 Admit Card has been available to download from 12 April 2019. Birla Institute of Technology & Science Admission Test, commonly known as BITSAT 2019. It is a University Level Examination. Also, aspirants for various Engineering Courses at Undergraduate Level can apply for BITSAT 2019. Students should carefully check the Eligibility Criteria before filling the Application Form. Candidates can visit the official website of BITSAT Admission (link is given below) to fill the Application form. Finally, the Candidates require to update class 12 marks & preferences to Degree programs from 16 May to 18 June 2019. It is mandatory to pass the BITSAT to get admission in various B.tech, B.E, B.Pharma and other courses. Only Students who are appearing for 12th class examination in 2019 or who have passed 12th class Examination in 2018 are eligible to appear in the BITSAT-2019 test. This article will give proper insight regarding how to fill the application form and all other relevant information. Birla Institute of Technology and Science, Pilani is a Deemed University under Section 3 of the UGC Act 1956. How to fill the BITSAT 2019 Application Form online? How to book the Slots for BITSAT 2019? How to Prepare for BITSAT in 3 months? BITSAT 2019 Admit Card has been available to download from 12 April 2019. Click here > Admit Card. BITSAT 2019 Slot Booking has been started from 05 April 2019. The online application form of BITSAT 2019 was released on 04 January 2019. The last date to apply for BITSAT 2019 is 31 March 2019(Extended). Click here> Application Form. It is incumbent upon the candidate that they ensure they meet the prescribed eligibility criteria before filling the BITSAT application form 2019. Online Registration for MBA has been started from 19 December 2018 (For MBA) And, the last date of Online Application form is until 15 February 2019(For MBA). 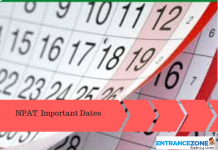 These are important dates related to BITS Pilani Admission test. Also, BITs will release the application form (for Engineering courses) is available from 04 January 2019. Some Notifications regarding the BITSAT 2019 are given below. Read them carefully to clear all doubts. The BITSAT Information Brochure & Eligibility Criteria along with Application Form is released. Firstly, candidates can fill the Application Forms for BITS Admission Test for MBA from 19 December 2018 onward and for B.Tech application form is released on 04 January. Further, the deadline to fill the form is 20 March 2019. Candidates will be able to fill the preferred slot for examination once the last date to fill the Application Form is over. The hard copy of the completed Application form along with the copy of Fee receipt of Rs. 2950/- should be sent to Faculty-In-Charge, HD & PhD Admission Test, BITS Pilani, Pilani-333031, (Rajasthan) India, It must reach before 5.00 P.M. on or before 23 February 2019. It is very important to download the admit card and carry it to the exam centre and the counselling sessions. Failing to do so will lead to the rejection of the candidate. Firstly, the admit card or the hall ticket is available on the website from 12 April to 13 May 2019. The applicants need to login to download and print the admit card. Then, the candidates must verify the details printed on it and follow the instructions given. 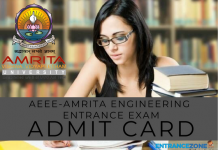 Further, an admit card or hall ticket usually contains important information. Such as the address of the test centre, date and time of examination and candidate’s roll number. Hence the candidate must keep a photocopy of the same and shall not, in any case, lose the document. The steps to download the BITSAT 2019 Application form is mentioned here. One should follow the given steps to not make mistakes while filling the form. Candidates will have to visit the official website of BITSAT and click on ‘Apply Online’. Also, students first need to register online to view the application form and fill it. Then, the form must be filled with the correct details. The application fee is required to be paid along with the submission of the form. Candidate must enter 8 alphanumeric characters password during BITSAT registration process. This password will be required for further accesses including writing the BITSAT Exam. Hence, a candidate should keep it confidential. Further, the application number will be generated after submitting the form. The candidates must note the application no. for future reference. Candidates can edit and change any information once on a specified date if they made any mistake. Yet, the correction can be done before the downloading of admit card. Candidates should keep a printout of the BITSAT Application Form for future reference. The prescribed fee for BITSAT-2019 is Rs. 3150/- (three thousand one hundred fifty) for male candidates and Rs. 2650/- (two thousand six hundred fifty) for female candidates. If a candidate chooses Dubai as a test centre the application fee for both male and female candidates will be same and will be the US $80 (Rs.5600). The fees once paid is non-refundable and non-transferrable. Deadline to pay the fee payment is 5.00pm on 20 March 2019 (Wednesday). In addition to applying and appearing for BITSAT-2019, Aspiring candidates have to also apply for admission to BITS giving details of their 12th marks and preferences to different degree programmes offered at three Indian campuses of BITS Pilani. The eligibility for BITs Admission Test is described here. Eligibility for Programmes except for B.Pharm. Firstly, candidates should pass 10+2 (Class 12th) from a Recognised Board (Central or State). Also, candidates must have secured an aggregate of 75% in Physics, Chemistry, and Mathematics. Candidates who are appearing for their qualifying examination in this year can also apply. Their admission will only be approved only after they will show all the documents. (This should be done on or before the counselling date). Firstly, candidates applying for B.Pharm will have to qualify class 12th will the Physics, Chemistry, and Biology. They should get a minimum aggregate of 75% in the above-mentioned subjects. Moreover, all the other criteria remain the same. As per the official notification, Candidates can book their exam slots for BITS Admission Test 2019 from 28 March. Go to the official website of BITSAT i.e. http://bitsadmission.com/. Login with application credentials, login id and 8 character password. Get confirm slots and take the print out of the slot booking slip along with admit card. The following pattern is being followed by BITSAT every year. It does not change much every year and candidates can practice using earlier year papers. Each day the exam will be held in two slots. The first slot will be from 9.00 am to 12.00 noon and the second slot will be from 2.00 pm to 5.00 pm. Applicants can choose any one out of these two slots based on the availability. More information will be available on the admission website. 1. Examination Mode BITSAT Entrance Exam will only be conducted in Online Mode. 2. Type of Questions Questions will be in Multiple Choice Questions Format. 3. Marks awarded Candidates will be awarded 3 Marks for a correct response. 5. Duration Duration of Examination will be 3 hours. 6. Sections Questions will be asked from 4 sections. Further, details can be seen in the table below. The syllabus for the BISAT 2019 as released by the university is given below. Make sure to read all these properly in order to score well in the exams. Firstly, BITSAT follows a similar syllabus every year. Also, the questions are mostly from the NCERT books of class 11th and 12th. Further, candidates can see the Sample Papers for BITSAT on our website. Moreover, candidates may follow the syllabus mentioned below for exam preparation. English Proficiency: Comprehension, Verbal Reasoning, Synonyms, Antonyms, etc. Logical Reasoning: Binary Approach, Analogy, Puzzle Test, etc. The details regarding these can be seen at the Information brochure link given below. BITSAT 2019 syllabus PDF Download: BITS Admission Test Information Brochure Here. The result will be declared on 20 June 2019. It almost takes a month to declare the results. If any candidate is eager to know the scores, it can be checked using the unofficial answer keys released by the coaching institutes as they are released as soon as the exam dates expire. Candidates can check the results for BITSAT or BITSAT score on the official website. They can see their Subject wise score with the number of correct and incorrect questions. University releases Wait List of the candidates who are selected or expected to be selected based on their Score once all the Exams are over. Before this, Candidates will have to fill their preference list. This list includes the preference order of the course the students would like to take in the university. This admission process is centralised for all the three branches. There will be various iterations (4 in general). where selected candidates can select or reject the allotted subject based on their preference. Given below are the details of the counselling sessions of the BITSAT 2019. After the Fourth Iteration, Candidates will have to visit the University for final counselling. Dates for the first Iteration will be in July 2019. Candidates can frequently visit the official website for more details about dates. Aspirants will have to report to their allotted Campus. Candidates can lock their preferred allotted subject. They can reject this and keep themselves available for future up-gradations as well (this will be possible if a candidate who has a better rank will reject his/her seat). Students will have to submit his/her documents. It is mandatory that all the students should verify their documents. One more round of up-gradation will occur after the counselling. This round will not be for wait-list candidates. The admission process for BITS Pilani, Goa, Hyderabad is announced. Candidates who will appear in the BITSAT exam are required to fill an admission application with 12th marks and preferences. Application form can be submitted by 20 March 2019. The BITSAT 2019 Application form will be available through online mode. Merit list will be formed on the basis of marks scored in the entrance exam. It will be prepared separately course-wise. The final Admission list will be declared on 20 June 2019. After the seat allotment, the applicant has to report to the allotted campus for further admission process. The Birla Institute of Technology and Science (BITS) Pilani is an all India Institution declared as Deemed to be University under Section 3 of the UGC Act 1956. BITS Pilani is India’s highest ranked non-Govt. Institute as per QS BRICS, QS Asia and QS India 2019, is one of the six Institutes of Eminence, as recently announced by MHRD, Govt. of India. Official Website for BITSAT Exam: Click Here. BITSAT-2019 test centres: Click Here. BITS Admission Test centre addresses: Click Here. BITSAT Rank Predictor will be available here. For queries related to BITSAT-2019, Candidates may mail at [email protected] or call at official numbers i.e. +91-7349470595 and +91-9148237202 during Monday-Friday 9.00am till 6.00pm. Firstly, download the syllabus PDF from the official website and start your preparation accordingly. Get help from mentors to prepare a time-table and divide 3 months time equally for all the subjects. Source out good BITSAT study materials & books available in the market. Find previous year’s question paper from this website and practice it thoroughly. This will give an idea about the exam pattern, type of question etc. Never take the stress and always feel confident about your preparations. 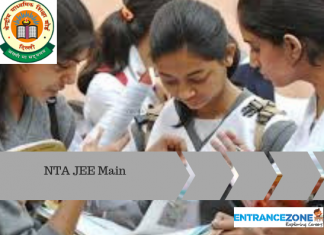 bitsat 2019 cutoff, bitsat 2019 exam centre, bitsat 2019 registration, bitsat 2019 application form date, bitsat 2019 exam date, bitsat 2019 form, bitsat 2019 syllabus, bitsat 2019 registration date, bitsat official website. What are the different sections in BITSAT exam? On what basis do they give the campus? Is BITSAT easier than JEE? 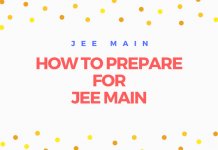 BITSAT is generally easier than both JEE Main and Advanced. But in BITSAT problem is you have to solve 150 questions in 180 minutes and that is the thing that makes it difficult. Is NCERT and Arihant enough for BITSAT? What is the average package of BITS Pilani? Do questions repeat in BITSAT?